Moving to Istanbul - Compare International Movers & Save up to 70% ! Request free quotes for Moving to Istanbul, Turkey! When you are Moving to Istanbul, Turkey, you want to be sure that you are entrusting your personal goods with a reliable and reputable international moving company. Intlmovers can help you find a number of professional movers who specialize in moves to Istanbul. With a single easy submission, you will receive quote responses from up to six international moving companies to help you with your move. Using Intlmovers service is quick, easy and completely cost free. It will only take you a couple of minutes to submit a request. Then you will be contacted directly from a number of international movers. They understand the needs and requirements for an Istanbul move. It could not be simpler! One of the best ways of ensuring value is by comparing quotes. However, comparing pricing is not the same as comparing value. Make sure that you look at exactly what is included in the quote. So you can get a true indication of the overall services that are being offered from the different companies. Make an informed decision and feel confident about your international move to Istanbul. The international moving companies have years of experience with moves to Istanbul. Istanbul is the largest city in Turkey, with a population of nearly 14 million people. Istanbul is a province, and it’s located in the Marmara region of Turkey. The city is located one of the world’s busiest waterways, the Bosphorus. Istanbul is a transcontinental city. Around a third of its population living on the Asian side whereas the commercial and historical areas of Istanbul are located in Europe. Compared to the rest of Turkey, the cost of living is very expensive. However, this comes as no surprise as the larger cities are commonly more expensive than their outlying neighbors. The city offers an incredible contrast of old and new. Being the largest city in the country attracts more employment, restaurants and entertainment options. Petrol and alcohol are a couple of notable items that attract a high price tag. However, in relation to most Western countries, the cost of living still considered extremely reasonable. Passport holders from a number of countries, including EU members, are exempt from a visa for stays of up to 90 days. For a number of other passport holders, short term visas can be arranged at Turkish border gates. For full information in regards to your passport conditions for arrival in Turkey, you should check with your local embassy for the latest terms and conditions. If you are travelling to Turkey for a period of In order to obtain your work permit and visa you need to visit your nearest Turkish mission. As you are unable to legally work in Turkey without it. As part of your application you will need your valid passport, the completed visa application form along with a letter from your prospective employer. There are additional documents that need to be submitted to the Turkish Ministry of Labour and Social Security (MLSS) by your employer. This must be done by them within ten working days from the date of your submitted application. You should check the website of the MLSS to confirm the most up to date requirements for the additional documents that are required. As a general rule, you can expect that your application will be finalized by the MLSS within 30 days. When you arrive in Turkey, one of the most important things you need to do is register at the local police department. This should be done within one month of your arrival in order to obtain the necessary residence permit. Istanbul is a popular international destination for people from the Birmingham, New York and Canberra. There is no substitute for experience. It can prepare you for all sorts of eventualities. When you are making an international move, you want to entrust your goods with a professional moving company. They has a good reputation for responsible handling and a strong track record in customer service and satisfaction. 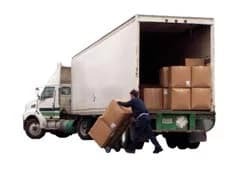 The companies who promote their services with Intlmovers are international moving companies with many years of trusted experience in international moves. Have you received your quote responses for your international move? You can take some time to consider your options and requirements and make the best choice to suit your moving needs. However, should you find that you are not completely convinced with the responses that you receive you are under no obligation to accept any of the quotes that you receive. You can request quotes completely risk free, because all quote requests are obligation free!